At Clifton Country Park near Swinton are the industrial remains of the Wet Earth Colliery which was one of the first deep mines to be sunk in the Irwell Valley. 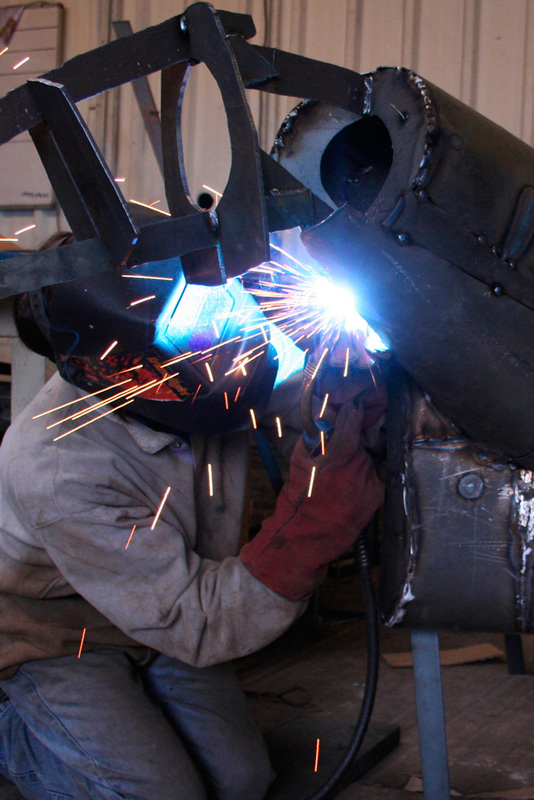 Salford City Council secured a Heritage Lottery Fund grant to bring what remains of the colliery back to life. The three sites they focussed on were the wheel chamber which housed a water wheel; the gal pit around which pit ponies would wind up ropes from the pit; Penstock Arch which used to be a narrow shallow canal down which boats would carry coal out from the mine. 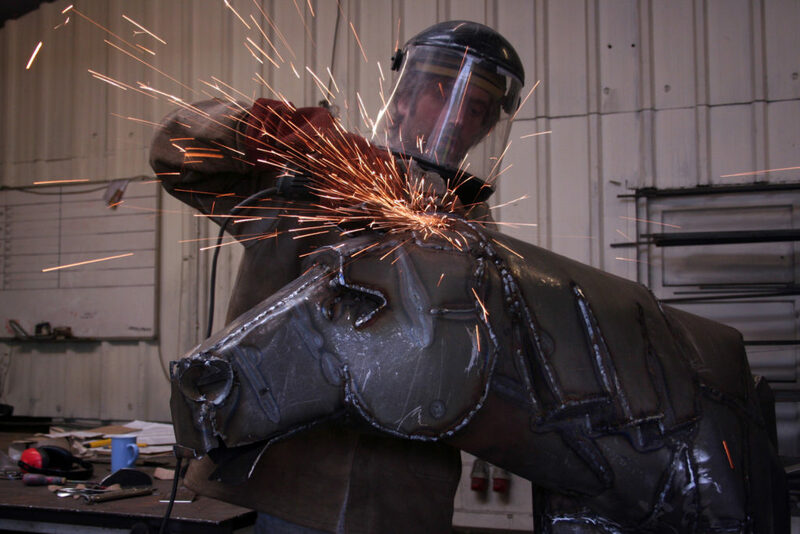 Scartworks was asked to make three sculptural elements, one of which was this Galloway Pit Pony. Local school children inspired the design of the piece in workshops led by Stephen. 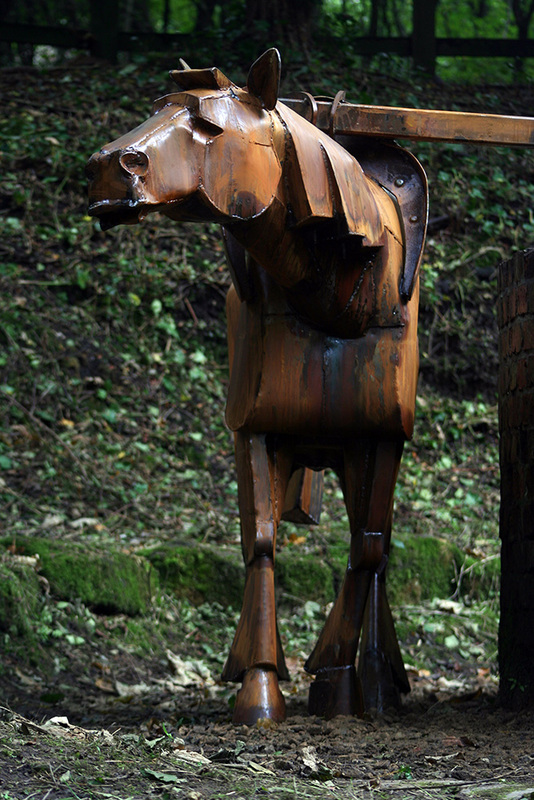 The finished sculpture is located in the exact location of the old winding engine where the pony would once have worked. 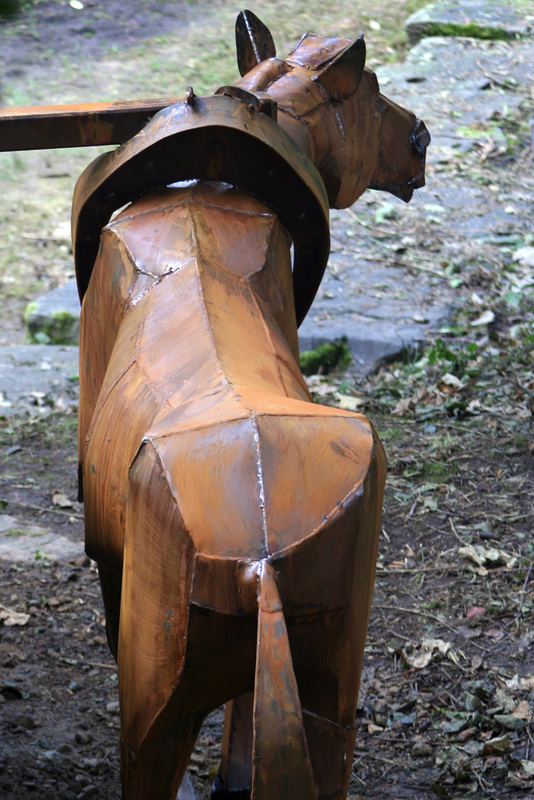 The sculpture is made from corten steel which is designed to go rusty “ giving the horse a beautiful red colour.